As you are walking the 2019 Edmonton Pet Expo show floor, listen for our Sound Bite Interviews giving tips to help your pet have the best life possible! Local Veterinarians Dr. Turner and Dr. Leger from Millwoods East Veterinary Clinic, and Dr. Russell from the Edmonton Community Veterinary Clinic, will be combining their knowledge and experience to give insights on pet ownership and care. Covering topics like Pet Insurance, Adopting, Vets and Pet Health, you can catch their interviews before each presentation in the Doggy Demo Area! Dr. Leger is a 2001 graduate from the Atlantic Veterinary College, after earning a BSc. in Microbiology from McGill University in 1997. After her education she completed a large animal internship at the Virginia-Maryland Regional College of Veterinary Medicine in 2001. Dr. Leger started at Millwoods East Veterinary Clinic in 2002 and does all the major surgeries! She has an interest in chronic pain management and is the Continuing Education Chairperson of the Edmonton Association of Small Animal Veterinarians. She and her husband, Mitch, have 2 daughters, and a very busy black lab named Jess. 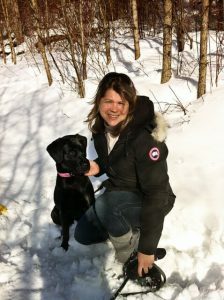 Dr. Leah Turner is a 2004 graduate from the Western College of Veterinary Medicine at the University of Saskatchewan. She earned a BSc. with specialization in Environmental Biology from the University of Alberta in 1999. Dr. Turner began working at Millwoods East Veterinary Clinic in 2002 as a student and joined the practice full time after graduation. Her family includes her husband, their daughter and son, her cat Toot and her dog Ruby. Dr. Natasha Russell, owner of the Edmonton Community Veterinary Clinic (ECVC), is one of Edmonton’s foremost advocates for ‘The One Health Initiative’, recognizing the importance in that -human, animal, and ecosystem health- are all interconnected. In her practice, she spends as much time working with her clients as she does with their pets; sharing useful information and encouragement in order to support the power of the human-animal bond and healthy pet families. She also reserves time each day to provide quality pro bono vet care for Edmonton’s more vulnerable pet families in need, through The Alberta Helping Animals Society (AHAS). 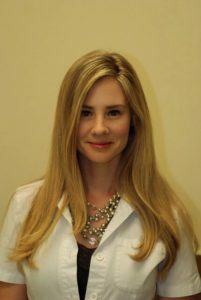 Dr. Russell graduated from the University of Chile’s College of Veterinary Medicine in 2014. She also has a B.Sc. Honours Degree in Biochemistry from the University of Saskatchewan. Prior to the design of ECVC, she worked in relief and aid work, emergency medicine and primary care. In May 2016, Natasha also became Vice President of Edmonton’s Association of Small Animal Veterinarians (EASAV). You can also catch her at “Ask a Vet” column in the Country Asides newspaper and live on-air on 630 CHED’s radio show PET TALK!